Barça Lassa weren't able to win on their visit to Veszprém (29-26), a duel in which the locals deployed a solid defence to make life difficult for the Blaugranes. 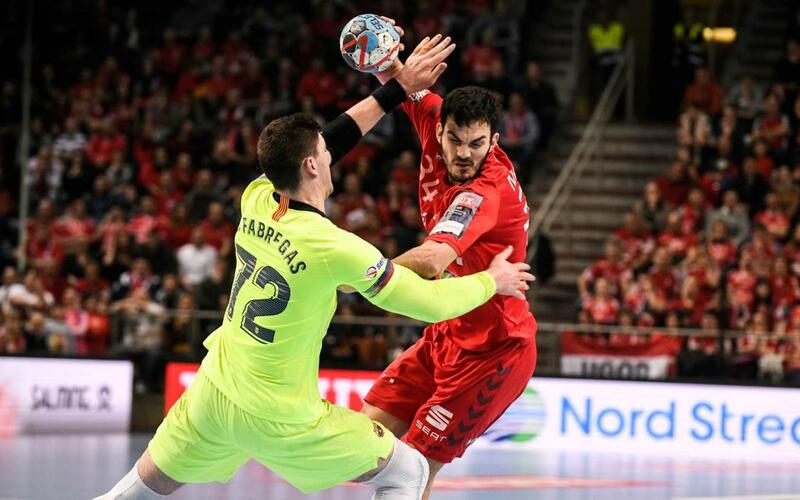 Xavi Pascual's side struggled to get the better of an aggressive Veszprem defence, and within a few minutes of the opening whistle, the hosts were up on the scoreboard. The Catalans, however, didn't surrender and, thanks to a goal by Aleix Gómez, went into the break level (15-15). Veszprém scored three goals at the beginning of the second half (18-15) but once again Barça Lassa's resolve got them back into the encounter (19-18, min 40). They were even able to equalise (22-22) when there were 15 minutes left, but in the final stretch, the hosts' defence came to the fore again, allowing their attackers to win them the match. Veszprém: Sterbik (-),Marguc (1), Nagy (2), Lekai (3), Blagotinsek (-), Mackovsek (3) Manaskov (4) – starters – Gajic (-), Ilic (2), Tönnesen (4), Mikler (-), Nilsson (1), Strlek (1), Nenadic (4), Mahé (4). Barça Lassa: Möller (-), Víctor Tomàs (4), Ariño (4), N’Guessan (4), Thiagus Petrus (1), Mem (3) and Ludovic (-) – starters – Entrerrios (1), Andersson (-), Gómez (3), Syprzak (1), Dolenec (3) and Duarte (2). Partials: 2-2, 3-3, 8-7, 11-9, 14-12, 15-15 (break); 17-15, 19-18, 22-22, 26-24, 28-26, 29-26. Officials: Mirza Kurtagic and Mattias Wetterwik.